It all started in 2017, witnessing the atrocities that were taking place across the world, specifically the government-mandated prosecution of LGBTQ people in Chechnya, the founders of the People's Film Club couldn't stand idly by. They condemned the care-free attitude of the British Government and the media and became determined to make a difference. During the spring and summer of that year, they hosted film screenings and talks to raise awareness about the situation in Chechnya. They raised and donated £1100 for the Russian LGBT Network. The summer ended, but they still had a lingering feeling that they could do more. They continued screening films and with each, they raised more money and awareness. The concept taking the shape of intriguing underreported and underrepresented stories. This entirely voluntary organisation has raised money for charities that help make a real difference in the world. The film club has also educated thousands on how they can make the world a better place at a community level. 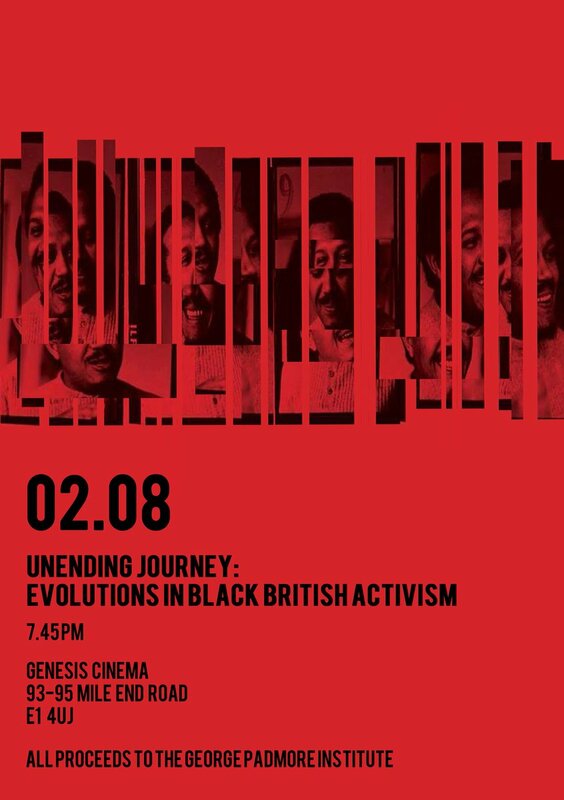 Their upcoming event on the 2nd of August discusses the theme of the Unending Journey: Evolutions in Black British Activism with a screening of the documentary Dream to Change the World: A Tribute To John La Rose by Horace Ove. The screening will take place at the Genesis Cinema, London with a panel of intergenerational speakers discussing the legacy of 1960s black activism. Keep an eye out for upcoming events this summer on Facebook. Black Wall Street, Americas secret massacre! Pepsi Rightfully Pull Kendall Jenner's Pepsi Ad! Blackout LDN present: #BlackLivesMatter - The Event!